Your home’s roofing system will provide it with sturdy support for decades. However, even the highest quality roof may contain certain weak areas that require routine maintenance and repairs. By taking the time to inspect and repair these areas, you can extend the overall lifespan of your roofing system. A team of roofers serving Redmond can provide you with a thorough inspection of all of the vulnerable spots on your home’s roof. To help you identify which areas of your roofing may eventually need repairs, here is a look at some common roofing problem areas. During a roof inspection, your roofers will typically take the time to inspect the quality and condition of your fascia. Fascia is a term that is used to describe the wood or metal trim that runs along the lower edge of your roof. Since the primary role of your fascia is to protect the internal components of your roofing system from the elements, it is critical that this component remains intact. The soffit is directly underneath the fascia, and this roofing component is responsible for ventilating the roof. To protect your soffit from damage, look for signs of cracks, holes, or pest infestations. Your soffit should be constructed from a water proof material that is ready to withstand the elements. Many residential roofs contain valleys, walls, and other types of edges. During a new roof construction project, your technician will seal your roof’s edges with a product called flashing. Flashing is your roof’s main line of defense against rain, UV rays, and other harsh elements. Unfortunately, your roof flashing can become damaged during a storm or other weather event. To ensure that your roof remains in good condition, make sure that your flashing is correctly installed and sealed. 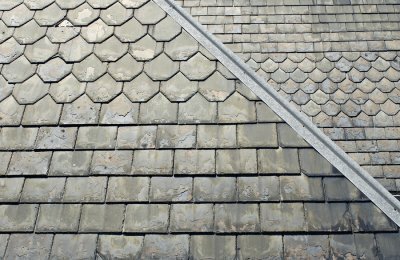 If you are feeling overwhelmed by the assortment of roofing shingles that are available for your roof replacement procedure, you may want to use technology to help you make your decision. Using the CertainTeed Roofing Guide App , you can compare high-resolution images of different colors and styles of roofing shingles. Using this app, you will have an easier time picking out your ideal roofing materials in Redmond. For additional guidance as you are shopping for roof shingles , be sure to work with a reputable roof contractor in your area. Your roof installation experts will be happy to answer any questions that you may have about the benefits of CertainTeed Roofing for your home. When you are shopping for new roof shingles in Redmond , you will want to find a product that offers exceptional durability and style. The Highlander® line of architectural shingles from Malarkey Roofing has been carefully engineered to provide your home with superior performance and protection. 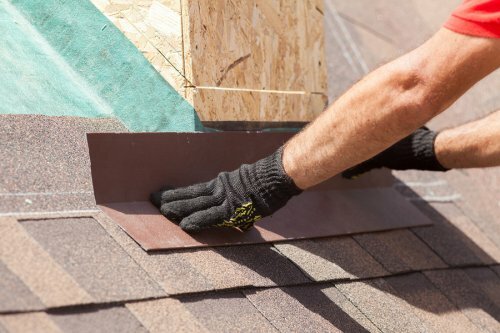 These high-quality shingles can withstand winds of up to 130 miles per hour. With their solar reflecting properties, Highlander® shingles can also improve the energy efficiency of your home. Along with helping to protect your home from the elements, Highlander® shingles are also ready to provide you with superior style, throughout the years and seasons. Malarkey has constructed their Highlander® shingles with special materials that resist algae, streaking, and color fading. When you invest in new Highlander® shingles, you can rest assured that your roof will maintain its gorgeous appearance for decades. If you are looking for asphalt shingles that represent the cutting edge of roofing design, the Highlander® series from Malarkey may be the right roofing materials for your needs. 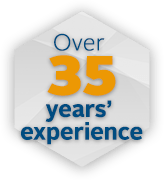 You never want to wait around when it comes to roof repair in Bellevue. It doesn’t take long for extensive problems to develop, which will make the repair process even more expensive and involved. If you’ve never had to reach out to roofing companies to have yours repaired, you might be wondering where the problems usually lie. 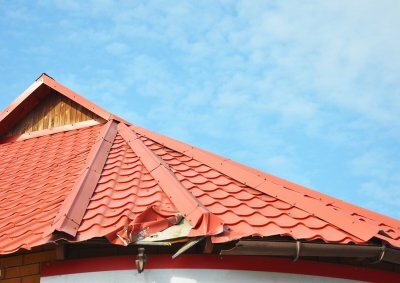 Knowing the signs that are typical of roof failure will help you notice signs quickly so you can deal with them. Handy homeowners may think they can repair their own roofs, but it’s best to leave this kind of work to the professionals. Here are some FAQs about roof repairs. What usually needs to be repaired? Your roof protects you and your home, but in doing so it can take a significant amount of damage itself. That’s why roofs are prone to specific types of malfunctions. Storms and heavy rains can take their toll on your shingles, which will be one of the first elements of your system that the inspector looks at. 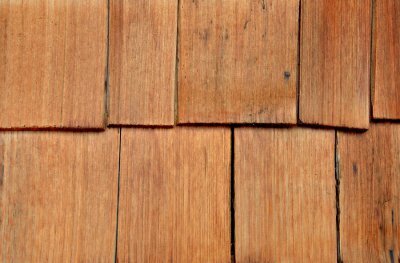 Shingles might be deteriorated or completely broken, which can lead to roof leaks. In addition to letting moisture into the home and potentially causing a mold problem, this can contribute to further roof damage. Rotting fascia and clogged gutters are also common culprits. It’s best to catch damage as soon as possible, which means you need to know what to look for. If you can tell that there are shingles missing from your roof just from standing on the sidewalk and looking at your house, you need to seek repair before a hole or leak develops. You should also call for repairs if you notice granules all over your gutters or around the perimeter of your house. If a tree falls onto your house, have it removed and have your roof inspected. Should I repair my own roof? 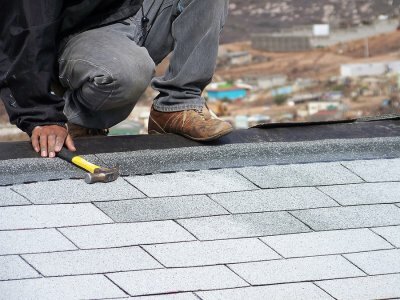 Repairing your own roof isn’t safe, and you might end up doing more harm than good. Call your roofing contractor and have the professionals do what they do best. You can just sit back and enjoy the results. Depending on where in the United States you live, your roof shingles might be vulnerable to black streaks that can compromise your curb appeal. 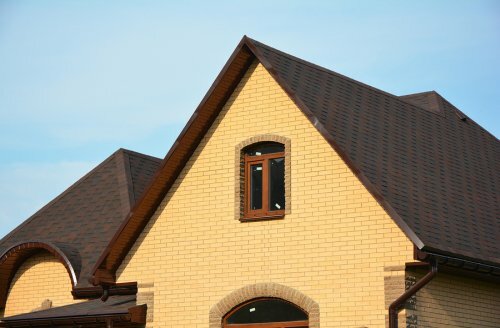 If you want to protect your roof in Redmond and keep your home looking its best, you need the right roofing products. Watch this video and prevent black streaks with PABCO Roofing Products featuring Scotchgard Protector. PABCO Roofing Products featuring Scotchgard Algae Resistant Protector can help preserve the appearance of your roof. The black streaks you see on your roof are caused by algae, and it may only take a couple of years for them to show up. 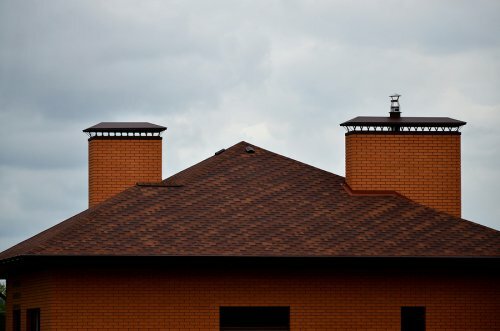 Thanks to copper roofing granules, PABCO products keep these black streaks from showing up. 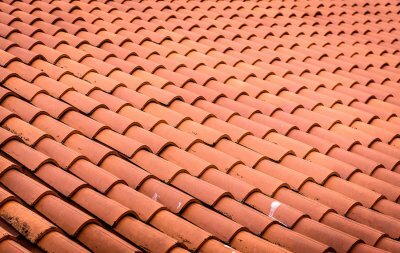 For best results, choose a minimum of 10% copper blend spread evenly across the roof. PABCO’s products are tested in house as well as in an independent lab.